Our range of products include softeners, dm plant, ion exchange system, degasser tower and softener resin t-42 na. With the help of our sophisticated infrastructure, we are capable of providing a large gamut of Softeners to our valued clients. These offered softeners remove calcium and magnesium from hard water to produce softened water and used sodium to replace calcium and magnesium ions. Apart from this, we assure safe and timely delivery of these products. We are engaged in offering a wide range of DM Plant & Mixed Bed Plant in the market. We made various sizes of plants as per customer's specifications. 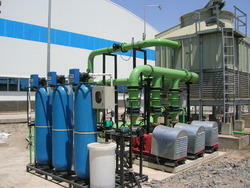 Moreover, these plants are used for the purpose of TDS reduction to required levels. Also, in these plants, impurities are replaced by hydrogen and hydroxyl ions, and the offered water is extremely pure. We have crafted a strict foothold in the industry by offering a premium quality collection of Ion Exchange System to our customers. The offered systems are made available in multiple specifications to fulfill the requirements of several applications. These systems remove calcium and magnesium from hard water to produce softened water and use sodium to help replace calcium and magnesium ions. Ion exchange water softening products remove calcium and magnesium from hard water to produce softened water. 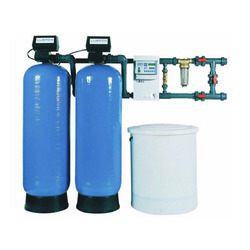 A water softener uses sodium to help replace calcium and magnesium ions. Unlike hard water, softened water will not leave any residue or scale on contact surfaces. Marcuras provides softening solutions for various applications such as boiler feed, cooling tower, heat exchangers, mould cooling, process, component washing, laundry, domestic use and pretreatment to RO, where hardness can cause considerable damage to process or equipment involved. We have interesting technologies to use weak acid cation resins in softeners as well as utilization of spent brine for better performance at lower cost. We design, manufacture and supply DM plants and mixed bed polishers. Ion Exchange process utilizes ion exchange resin for the removal of dissolved salts in surface and groundwater sources to meet industrial water standards. 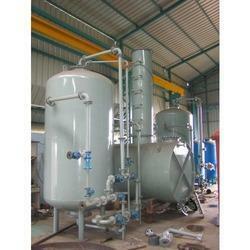 Dimeralization plants are used for the purpose of TDS reduction to required levels. In these plants, impurities are replaced by hydrogen and hydroxyl ions, and the water that is produced is extremely pure. A condensate polisher is a device used to treatwater condensed from steam as part of the steam cycle. Our superior condensate polishing ion exchange resins excel in capturing corrosion products in the condensate stream. This polishing typically involves ion exchange technology for the removal of trace dissolved minerals and suspended matter. It is generally used as part of a power plant's condensate system and prevents premature chemical failure and deposition within the power cycle which would have resulted in loss of unit efficiency and possible mechanical damage to key generating equipment. 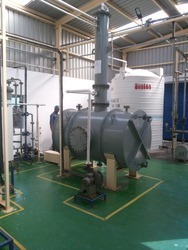 De-alkalizers are used typically in small boilers or specific applications where apart from softening, alkalinity (carbonates and bicarbonates) also has to be reduced. Usually a split-stream de-alkalizers are very commonly used wherein one stream passes through a softener and one stream through SAC, followed by degasser tower for removing CO2 from water. Partial TDS reduction is possible in this scheme to the extent of alkalinity present in water. We are offering a wide gamut of Ion Exchange System in the market. These are manufactured from the best quality material under the direction of experts at our state of art infrastructure unit. These systems are generally used as part of a power plant's condensate system and prevent premature chemical failure and deposition within the power cycle. 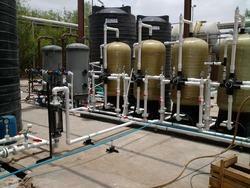 Looking for Ion Exchange System ?